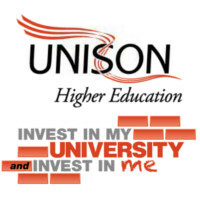 UNISON’s Higher Education Service Group Executive (HESGE) met on the 4 May 2017 to discuss UCEA’s full and final offer on 2017 / 18 pay. The Service Group Executive’s view is that this offer is the best to be achieved by negotiation and that if members vote to reject the offer, sustained and prolonged industrial action will be required. Rejection of the pay offer in an industrial action ballot would initiate a campaign of industrial action in line with UNISON rules and conference policy. UNISON will endeavour to work alongside other unions wherever possible on joint action. HE conference policy means that a final offer must be subject to a branch based consultation. UNISON Branch Members should submit their views in the local member consultation until 26th June 2017.